Welcome to my Urabn Tank website, a site dedicated to my Tank a 1973 International Travelall. I obtained this Travelall for almost nothing and will use this page to document its resurection from the tired old truck you see here to my daily driver. 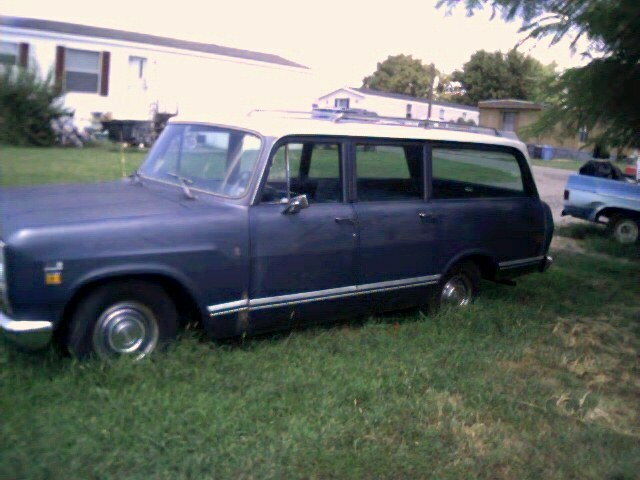 Its a 1973 Travelall with a V345 an automatic transmission and A/C. Future plans may include a conversion to 4wd. Although this site like my truck is under construction check back frequentley as I will update as often as possible. I'm including in the photos pictures of the truck as it is now. I hope however to show photos of the truck as it develops to show my progress. I'm also open to hearing your thought on the direction of my project and advice from those of you who have been there done that.